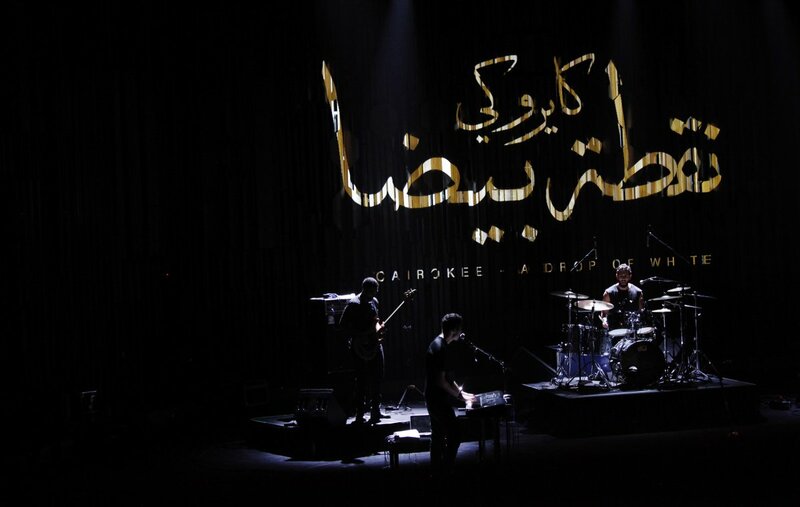 Lebanon’s Tania Saleh and Egypt’s Cairokee launched Shubbak and MARSM’s music programme with an exciting and emotional journey through the musical sounds of the contemporary Arab World. In a graceful London debut, Tania treated the audience to a fun and refreshing collection of songs from her four studio albums to date. Born and raised in Lebanon, and having lived in Kuwait, Paris, and beyond, Tania’s eclectic musical influences range from Bossa Nova to Ziad Rahbani. Mixing colloquial and literary Arabic, her lyrics strike at the heart of the social and political problems in the contemporary Arab World: sectarianism, sexism, corruption, and war to name but a few. Her performance began in her native Lebanese dialect, singing humorously about love, romance, and heartbreak. Towards the end of her set, she turned to the poetry of Mahmoud Darwish, the Palestinian struggle, and the humanitarian crises that plague the Middle East today. 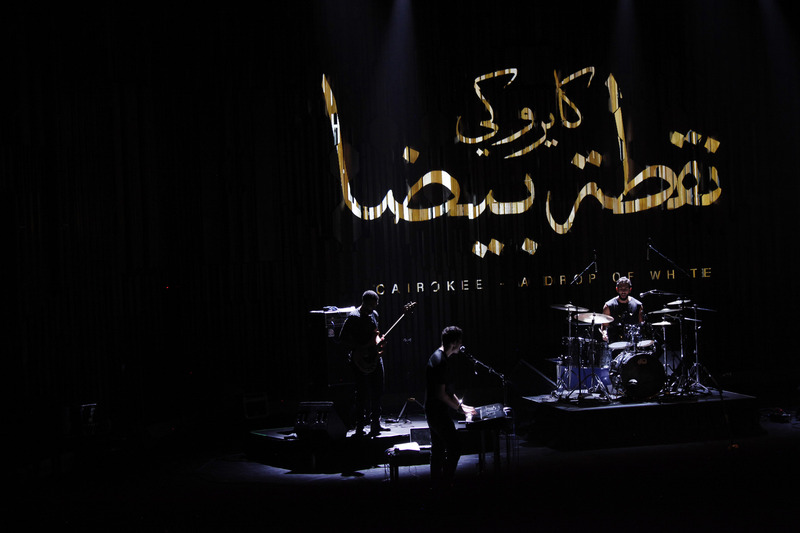 Following the interval, headliners Cairokee, seen by many as the voice of the Arab Spring in 2011, opened with tracks from their latest album, A Drop of White, and energised a predominantly Egyptian crowd with their powerful, rhythmic lyrics, and uplifting melodies. The evening took an emotional turn as fans nostalgically sang along to the revolutionary anthem Sout el-Horeya (Voice of Freedom), and the set finished on a positive note with a standing ovation and encore. All in all, a fun and fantastic evening of music from the Middle East. A diverse crowd, two very different artists, but with one common aim: an urge to capture the social challenges faced by the Arab World today.